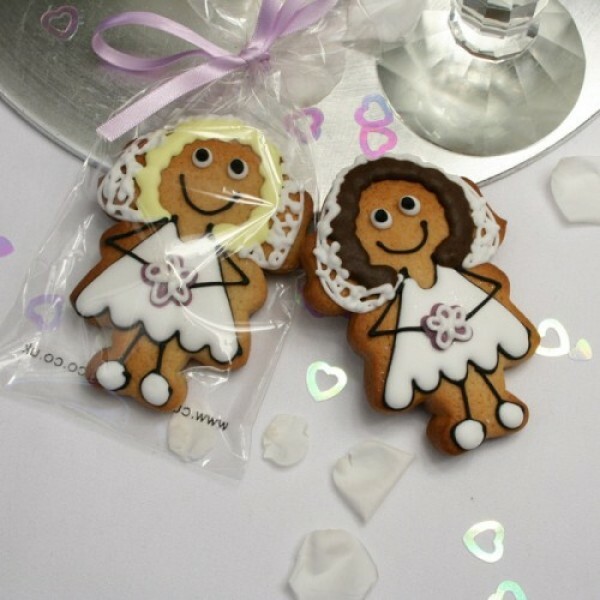 Thank your guests for joining you on your special day with these beautiful Bride Cookie Favours. Each individually wrapped gift is customisable, allowing you to choose the hair colour, flower colour and ribbon colour. Simply add the details at the checkout to tailor each favour to match your special day.